The not to-old Ghost blogging platform is considered as the new direction of blogging due to its simple and powerful features. Ghost is still on its early stages, but however, it is more elegant than other existing platforms and is dedicated only to blogging purposes without the aim of developing into rich-featured website. It is most apt for just bloggers who on their part are inclined to go to Ghost. 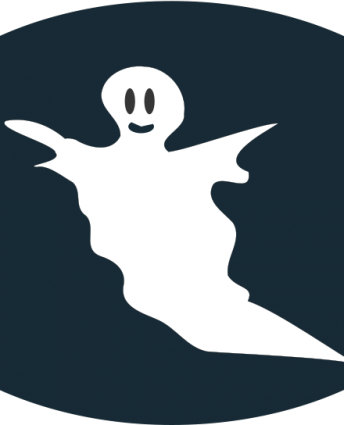 When bloggers compare Ghost to WordPress they say that the first is smoother and than the second that has been the leading platform for many years when it comes to not only blogging. 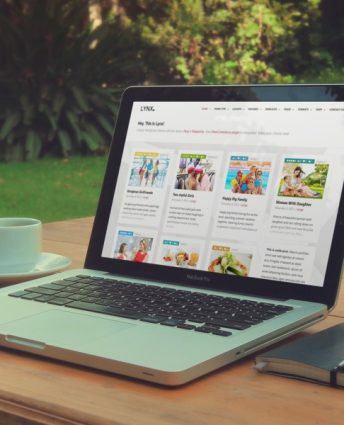 Ghost offers a downloadable version, while you can also use the online blogging platform just like WordPress. The most important thing that you must know about Ghost is that it has a unique simple concept for writing. The following lists includes some of the best premium and free Ghost themes and you can help yourself to find the one that can make for your blog unique. All the themes are free if downloaded or they cost up from $19 to $199 per month with the pro-version. 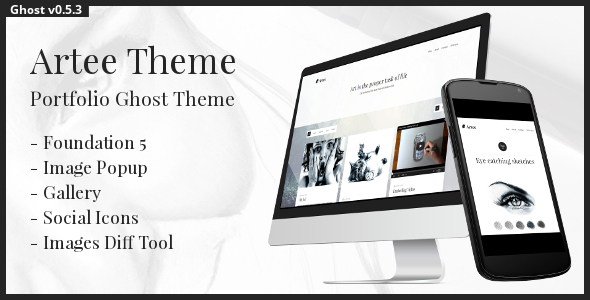 Most of the Ghost themes are paid, but there are also some free themes. 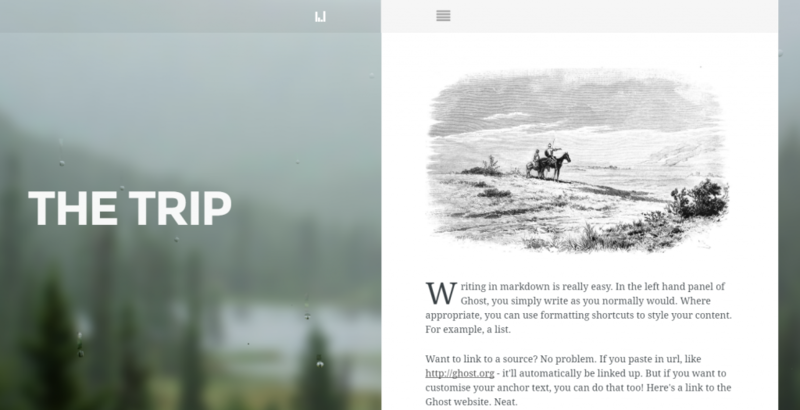 Rain is a cozy and elegant minimal theme for writers and one of the best-selling Ghost themes. It is beautifully styled and a perfect choice for personal writing blogs. The raindrops give a touch of melancholy to your content. The theme is fully responsive ant it will look great in all devices. 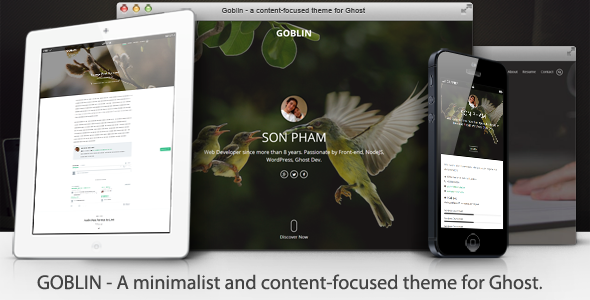 Goblin is a premium ghost theme designed for readability and for the best writing experiences on web and all devices. It makes your blog look great on all screen resolutions. Goblin can be used for different purposes such as for personal blogs, journal and portfolio. 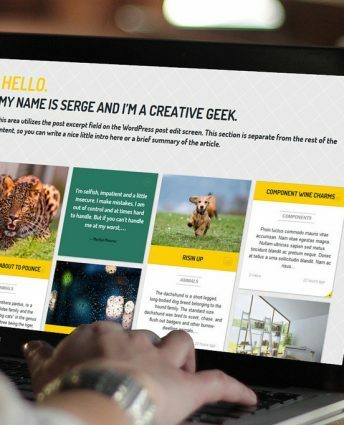 The users that have purchased it say that works like a charm due to the fact that it is a content-focused and amultipurpose theme that supports different post formats including audio, videos and images. 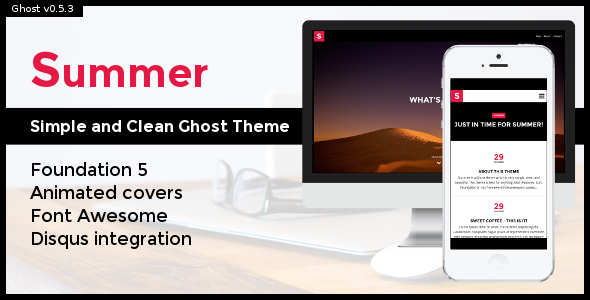 Summer is a clean modern content-focused theme for Ghost blogging platform. It is good for any kind of blog: photo, travel, writing design etc. It is a simple and clean theme and you can change the animation type. Monument is a Ghost blog theme that focuses on presenting the content in a harmonious way to the readers. Just like other themes Monument is designed for readability and pays special attention to usability. It’s easy to configure all the features and to have a good time while blogging with Monument. Orca Ghost theme has a neat design and good quality. 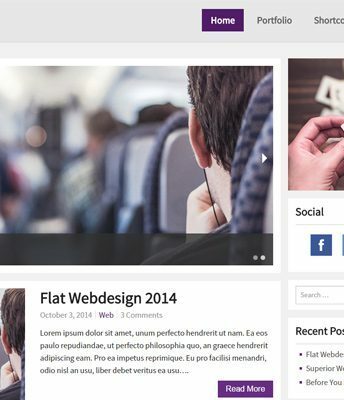 It is a minimal theme that can be used for different types of content, for personal web magazine etc. It will look great in all devices or screen resolutions. The theme supports post formats and can display images. Orca is fully functional and clean. Artee is a portfolio Ghost theme with a minimal style. It is perfect for photographers, designers, artists and others whose blog contents consists of photos and pictures. 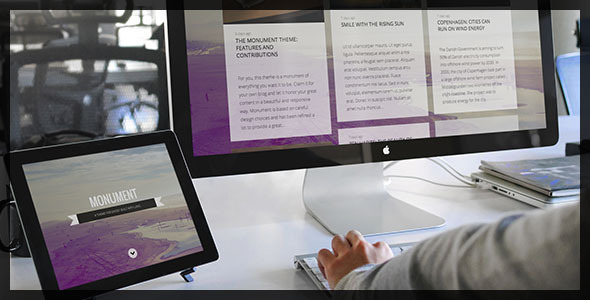 It can be used as a simple content blog as well as a smooth modern portfolio. 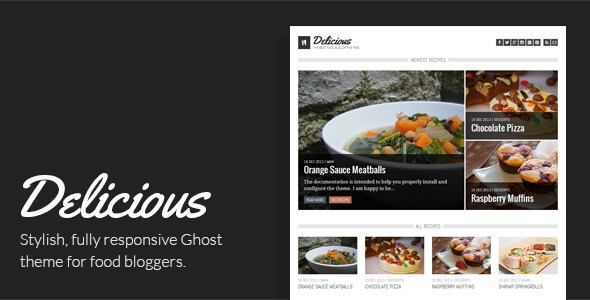 Delicious is a fully responsive theme for food bloggers. If you are thinking of starting food blogging, Delicious is the right theme that highlights your recipes, images and writing. It is a perfect sample of the minimalist and modern design blog. 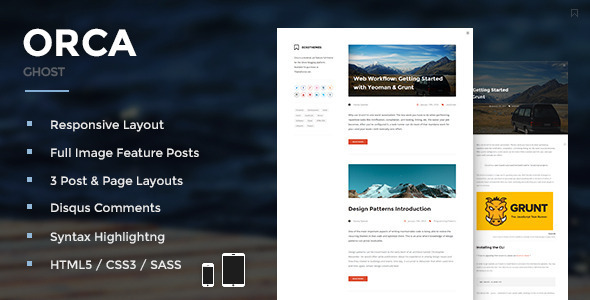 Isolde is a simple content focused theme for Ghost blogging platform for personal blogs or magazines. It has a modern design and looks great in different screen resolutions. It is the best theme for the bloggers that want to make their page websites popular. 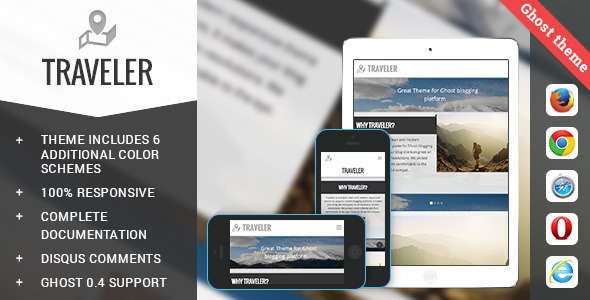 Traveler is a responsive multipurpose theme created for travelers that tour the world and want to share their experiences and adventures. They can easily share images or write about the places that they have visited. The theme is suitable for writings and news content. My Journey is a simple free theme appropriate for publishing articles and it has a newspaper style. The theme is flexible and mobile friendly. It can be easily installed and configured. It keeps the posts separate in order to highlight even the background.